Naultinus grayii is vivid green with grey or gold-coloured markings on either side along the dorsal surface. Underneath, the ventral surface of both sexes is bright pale green, sometimes with a yellow tinge. The inside of the mouth is deep blue with a bright red tongue. Naultinus grayii have well adapted vocal chords and can chirp, bark and even click with their mouth. A screen enclosure that is 0.45 W x 0.5 L x 0.9 T meters (1.5 x 1.5 x 3 feet) is best for one adult pair. Screen enclosure is essential for Grayii. They will enjoy green foliage to hide in, as well as dense hanging bush, cork flats, cork rounds, hibiscus, manuka, kanuka, mingimigi plants as well as reptile safe vines. I have not heard of many Naultinus keepers using live plants in their enclosures. Live plants are a must for my reptiles. And my Grayii love their live plants! I use peat moss as a base substrate with heavy sphagnum moss on top of for optimal humidity. Sphagnum moss should be damp, not dry nor wet. You can also use, wood chips, eucalyptus mulch, eucalyptus leaves then sphagnum moss in that order.Provide cooling hides on the substrate full of damp sphagnum moss for your Grayii to retire from heat. They will enjoy green foliage to hide in. UVB is absolutely essential for this species. A minimum of 12 hours of lighting per day is best. It is recommended to change your bulb every 6 months for optimal UVB output. Temperatures should never rise above 26 °C (80 °F) in the summer. Average summer temps: 21-25 °C (70-78 °F). A temperature drop at night is essential for this species. Winter temps should not reach below 4 °C (40 °F). This species is said to need a brumation period in order to successfully conceive. Water should be free of any chlorine or harmful chemicals. I use distilled water as all my grayii are connected to a misting system that can only take distilled water. Grayii will lick water droplets off leaves and furnishing in their enclosure. I have never seen one drink from a dish but it is never a bad idea to provide a shallow (no deeper than halfway up the geckos sides) water dish. Provide a heavy misting in the morning, and allow the enclosure to dry out until night-time/lights out. Humidity should range from 60%-85%. Be sure to mist their enclosure twice a day during the rainy season (winter in the Northern climate). Typically Grayii eat every other day. Due to cooler climate Grayii are opportunity hunters and are not active hunters. They will literally wait for the prey to come to them. They eat mainly insects and fruits. 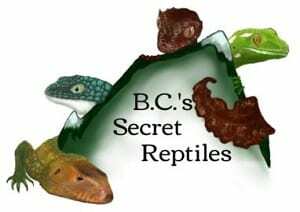 You can offer them: crickets, wax worms, wax moths, silkworms, dubias, butterworms, hornworms and black soldier fly larvae. Be sure all live food items are appropriately sized, the bug should be the length of the distance of your geckos neck. You can also offer Pangea gecko diet mixed with Manuka honey. My Grayii are not too keen on their insects and prefer fruits offered instead. They enjoy banana and mango. They will accept almost anything covered in Manuka honey! For optimal nutrition offer your Grayii Meal Replacement Powders (Pangea is highly recommended and is the only MRP we will feed our naultinus) at least twice a week along with bugs every other day. I supplement calcium with D3 once a month and calcium WITHOUT D3 once a month. I offer supplements every other week unless offering fruits (I’ll sprinkle supplements into fruits so it’s not just sugar) or less nutritional insects like crickets. Naultinus grayii are a very intelligent species of geckos and it’s debated that they can recognize their care taker. I don’t handle my Grayii often to reduce stress, usually only when offering special treats or examining the animal (of course snagging a few pictures in the process) all adding up to once or twice a month for short periods at a time. During handling sessions, Grayii are a fast species and usually only stop moving if you hold a delicious mango or treat in front of them. I provide bioactive soil for my naultinus as well. This includes live isopods and springtails that eat any feces in the soil. Weekly I will go through the enclosure and spot clean any feces or urates on the mesh screen or furnishings. I do not wash any furnishings with harsh chemicals as they could soak into the furnishings and harm my geckos. If you are going to wash something going into your geckos enclosure, spray hydrogen peroxide and then vinegar directly onto furnishings and rinse thoroughly. This combination has the power of bleach but without the harsh chemicals. It is said to even kill salmonella. Naultinus grayii’s white spots will become dim and even brown towards the time they are due to complete a shed. They usually will consume their shed but not always as I have found entire shed in the enclosure multiple times. Provide lots of shed ‘aiding’ furnishings with hard scratchy surfaces like the Exo Terra jungle vine is perfect for aiding in shed or even cork bark. Shedding takes place every few months. There is little known about naultinus as to what particular health problems they are prone to. 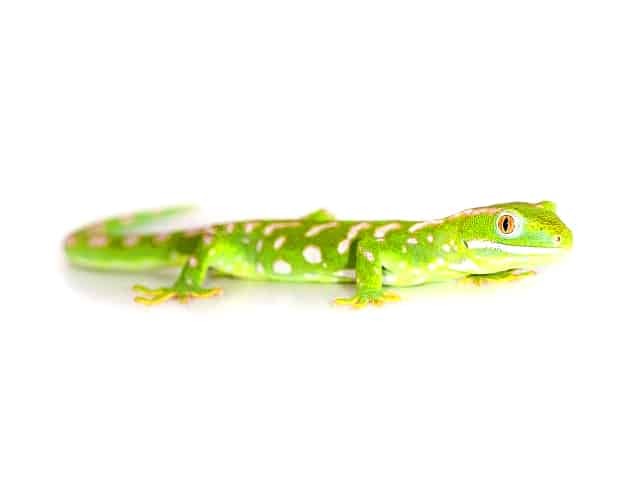 However I’d imagine it would be similar to any arboreal tropical gecko: fatty liver disease, kidney failure, Metabolic Bone Disease (big issue for geckos requiring UVB), shedding complications and tumors.